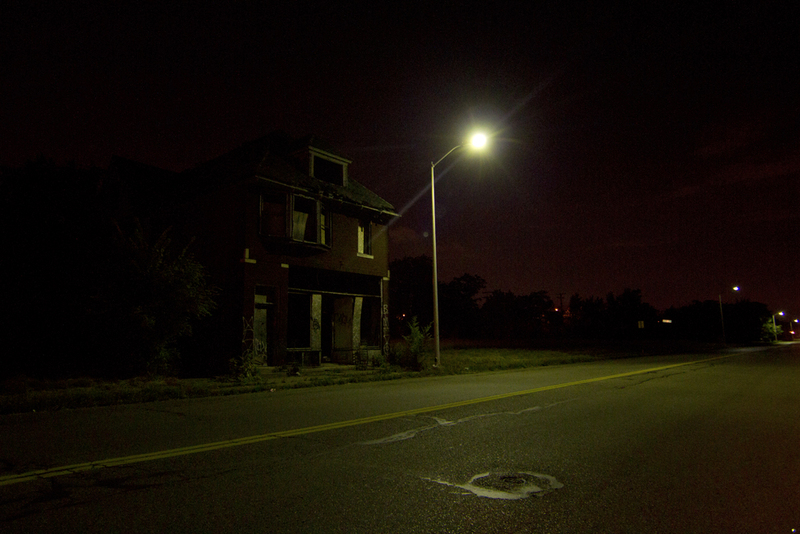 A working streetlight illuminates an abandoned house. The public agency responsible for installing new lights in Detroit doled out more than $500,000 in severances to five employees following allegations that the CEO was engaged in “illegal, fraudulent activities,” according to records obtained by Motor City Muckraker. 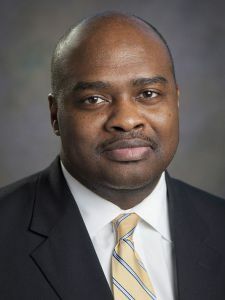 Two former Detroit Public Lighting Authority (PLA) employees claimed in a drafted lawsuit that they were fired last year in retaliation for alerting city officials to serious concerns about CEO Odis Jones. They claimed Jones, who has since resigned and received a lucrative $230,000 severance, was trying to profit from public funds by steering city work to one of his two real-estate companies, MVP Partnership LLC. In exchange for not suing or discussing the allegations, Sandra Hughes O’Brien, who was the general counsel, received a $123,000 severance, and Dana Harvey, former senior vice president for government and community affairs, got $77,000. PLA Board members, who are appointed by the mayor and city council, declined to say why they signed off on a $230,000 severance for a CEO accused of committing crimes. Jones’ employment contract only requires a severance if he is terminated, city records show. The PLA used money for much-needed streetlights to pay for the severances. Among the allegations are that Jones tried to shift public resources to his “off-the-book” business ventures and gave his friend, Adam Troy, a job as COO of the PLA so he could pay off a $70,000 debt to Jones. Troy was awarded a $58,333 severance agreement that “does not appear to be written by an attorney,” according to internal records. It’s unclear why Troy even received a severance since he voluntarily resigned in August 2015 and worked for the PLA less than a year. Now Jones and Troy are co-managing partners of the real-estate company, MVP Capital Ventures. “MVP Capital Ventures, LLC is a multi-dimensional development company primary focused on real estate related opportunities and public private partnerships,” according to the company’s website. Investigative reporter Ronnie Dahl first broke the story about the severances for WXYZ on April 28. We received additional records that shed light on the allegations leveled against Jones. Just before Jones resigned, he and Mayor Mike Duggan had a loud argument. When Duggan’s office was sent a copy of the allegations against Jones, they were immediately sent to the city’s Office of Inspector General. “We have an open and ongoing investigation that we hope to be complete by the end of the month,” Inspector General James H. Heath told Motor City Muckraker. The PLA launched an internal investigation that found no wrongdoing, but the head of the probe, Tifani Sadek, replaced the whistleblower and previously worked for Jones’ company. PLA board members have declined to discuss the severances, saying they’re not the public’s business because the issue involved personnel, even though tax dollars were used. The PLA also dished out $32,500 to Katrina Crawley, who was ex-vice president of construction and engineering, for reasons that remain unclear. Jones didn’t return calls for comment, but he denied any wrongdoing in a statement issued by his communications team, the Allen Lewis Agency. Excellent job, Steve. This kind of journalism is exactly what’s missing in the local media. The real sad part is that I think it’s unlikely that you would have been able to do this kind of reporting at today’s Free Press. They’re more concerned with throwing advertising junk on random driveways and counting that as circulation. Thanks for letting us know that this story was leaked to you… What credibility questions you now have… Why was you fired from the Detroit News…. She’s not black she’s a politician a statewide elected democrat … This came out last night at our meeting … So the Detroit city website says the Heath the IG works for Duggan… Why are they trying to smear this man… We are going to find out .. Your reporting is a Joke .. Get a life you probably don’t even live here in the D anyway.. Black lives Matter!! Both whistleblowers were black. Doesn’t fit your neat narrative. So did all 3 of you have a good time ” Organizing”. No, I don’t know most other shirt and tie criminals either.I am a blue collar guy. I work for a living. I don’t steal from one of the poorest city’s in America then have Moronic Retards like yourself Blame the criminals actions on “Whitey”. You must be a big Coleman Young fan. But keep it coming. This is some of the the best one sided Bigotry I have heard in a while! You can’t make this stuff up. He grow up in my neighborhood … He was the only one to make it out of this place and he always done the right … Come to the next Black Lives Matter meeting to discuss.. We are going to engage this… You can be from the Detroit neighborhood and be successful and you don’t have to be a White man to do it!! Just another attempt by Duggan and his cronies to tear down another Successful Black Man… Who leaked this to you… People make things up and Sue when they are fired all the time… What are the other Law firms? You gotta be kidding me. First, we don’t reveal who leaked information to us. Second, there is a city investigation into very serious allegations. And by the way, the two employees who made the allegations are black. Most importantly – Allegations reported by WYYZ Channel 7, as well as those raised in early Fall 2015 by two former employees whose employment had been expired, are defamatory and false,” according to a written statement to Motor City Muckraker. “They were investigated by PLA General Counsel and two external law firms of the PLA, and the investigations found no wrong doing by Mr. Jones or Adam Troy in November 2015.” Left that for the end, great reporting! I think to get to the top, and be considered, you have to do dirty things yourself and for others. Its a club of thieves. You all have dirt on each other, so you all know the rules. I think if they put in a new, clean, out of towner, they have a revolt. So the East side is now considered ” Out of Town”. No! Go to jail. It wasn’t their money to give or take. And the hits keep right on coming. Is there anyone out there that wants a high ranking job in the city of Detroit for the main reason that they care about the City and the people she serves? Off to Prison! I tell you they are locking up the wrong people. God knows you have to keep all the pot heads in Jail. I’m still wondering how gary brown got all those millions based on his pay grade. Didn’t that mc fail woman engineer that? You mean his lawsuit for being wrongfully fired, and his and his families lives threatened? Well there are nyc cops who retired 20 years ago, they had 4 million in pension, plus 750k healthcare. 4-5 mill would put gary back to just living like a regular cop. Its not a windfall compred to other cops.